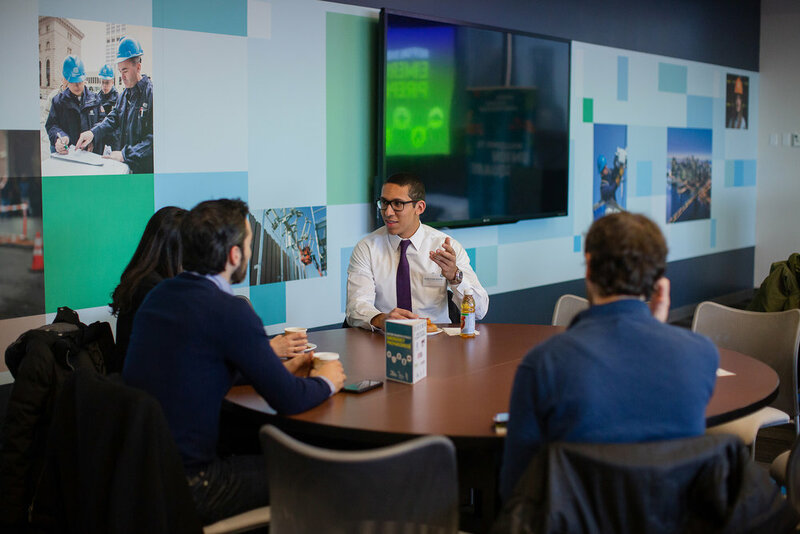 On Wednesday, November 14th, the USP hosted Before Disaster Strikes: Emergency Preparedness forum with the Flatiron Partnership and Village Alliance at Con Edison’s headquarters in Union Square. 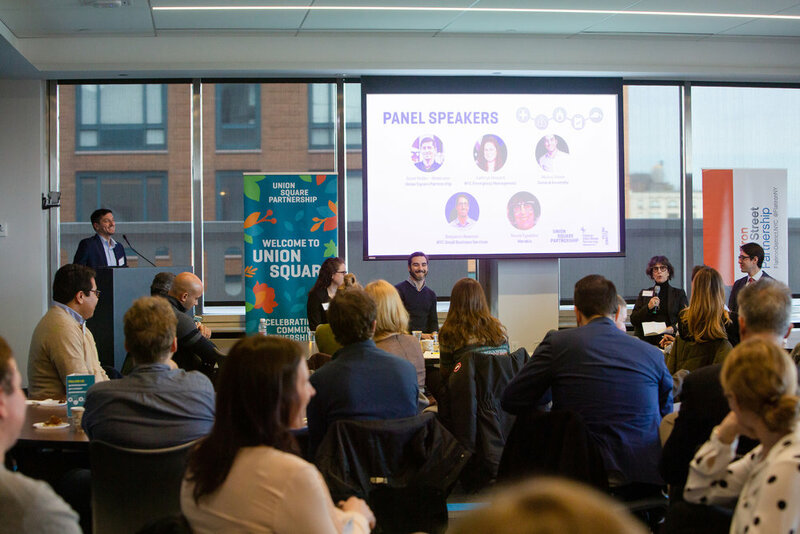 The event featured a panel discussion centered on two businesses affected by last July’s Steam Pipe Explosion in the Flatiron neighborhood. The businesses, General Assembly and Merakia, were joined by officials from the NYC Department of Small Business Services Emergency Response Team and NYC Emergency Management. There is little free aid available from the government when incidents occur, so it is important to know what you’re covered for. Businesses owners should make sure to regularly review and understand coverage. Make sure to read any riders carefully and speak with your broker or insurance company representative to go over policies before disaster strikes. It is also important to keep documentation up-to-date and stored in a safe location (with copies saved on a cloud service, such as Dropbox, Google Drive, Box, or One Drive). Keep a solid contact list of employees and vendors. Kathryn Howard of NYC Emergency Management stressed having all your contacts for clients, insurance, and anyone you need stored at work, home, and on your phone. Constant, frequent communication is key. During an incident there is a lot of confusion and a hunger for information. Regularly check in with staff, government agencies, and your customers on as many modes of communication as possible. Let people know that there is no change in condition when there is no news to report – it helps keep everyone at ease at a time when those affected can be on edge. Practice your emergency plan and update it regularly. Benjamin Newman from the NYC Small Business Services emphasized the value of regularly practicing whatever emergency plans that businesses create. Running through the plans regularly will help to adjust them before an incident, allowing businesses to work through any issues that arise, and will ensure that more than one person at your company knows the plan and how to activate it. Newman pointed out that many plans do not work the way we have them in our head, and during an emergency it is most efficient follow an established procedure. It was recommended that businesses update and review their plans with each new hire to keep it fresh. Document everything you do following an incident. Keep a journal with receipts of services and goods you procure to keep your business running, as well as any immediate remediation you perform to open. Make sure any staff involved has access to the journal and are also able to update the journal with their own actions. Following the steam pipe incident, General Assembly set up a collaborative Google Sheet and time stamped each action taken with direct references to any receipts. The document became a critical resource when it came time to file insurance claims. When it is all over – celebrate your staff. Emergencies are hard on your team. It is important to treat your staff, reminded General Assembly. “It was a very frustrating and difficult experience for everyone. In the end, ice cream helps,” said Mickey Slevin. 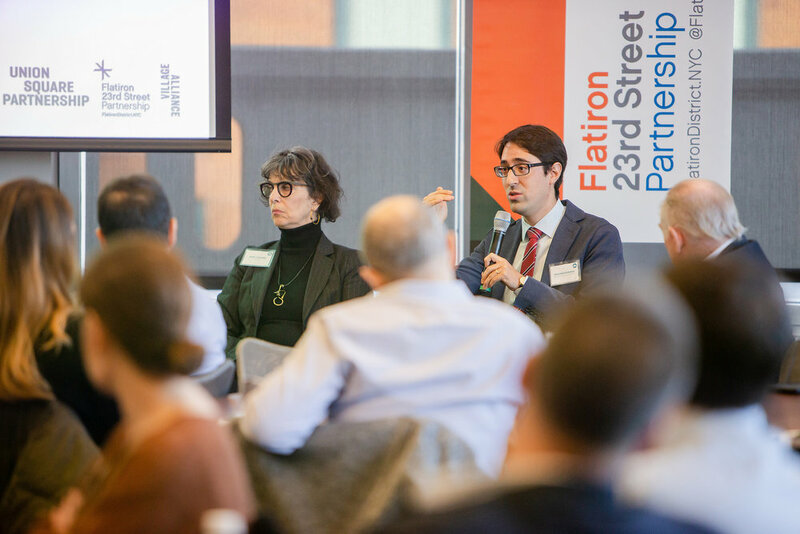 Thank you to our partners at Con Edison for hosting the event, as well as our event partners Flatiron/23rd Street Partnership, Village Alliance, NYC Small Business Services, NYC Emergency Management and our panelists from General Assembly and Merakia. Check out our Emergency Preparedness Tip Sheet to get started building out an Emergency Plan for your business. For more information, visit the City’s Business Emergency Planning website where you can download helpful worksheets and sign up for regular webinars.